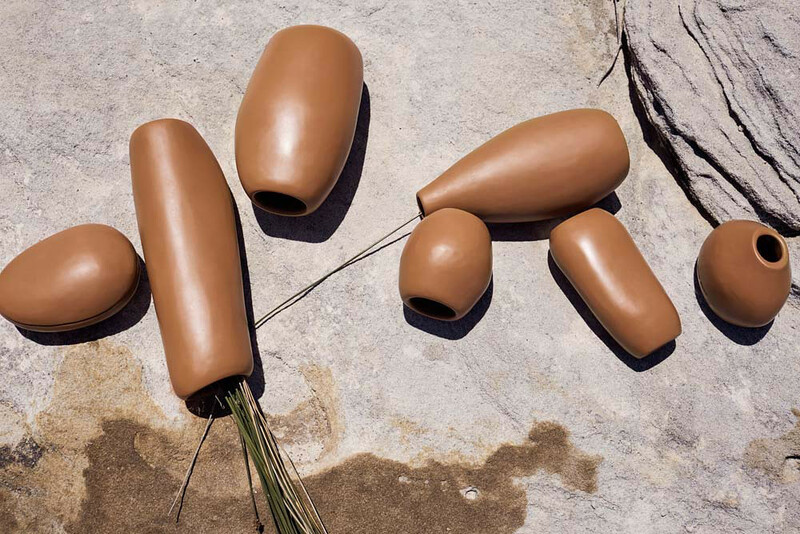 Creative Directors of Dinosaur Designs, Louise Olsen and Stephen Ormandy, have launched their new collection called Sand. 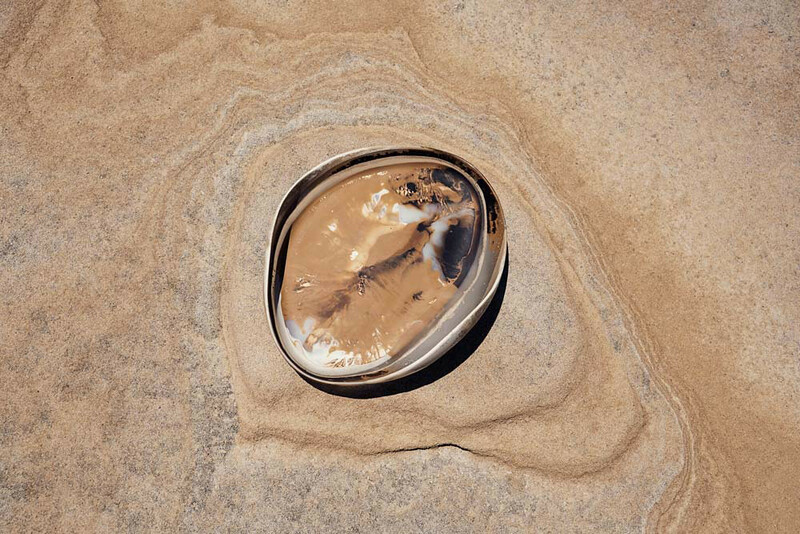 Sand explores the natural beauty and texture of fine rock and mineral particles. Palette has a gray and matte coating, consisting of tan, brown and white colors with stripes of red and black. 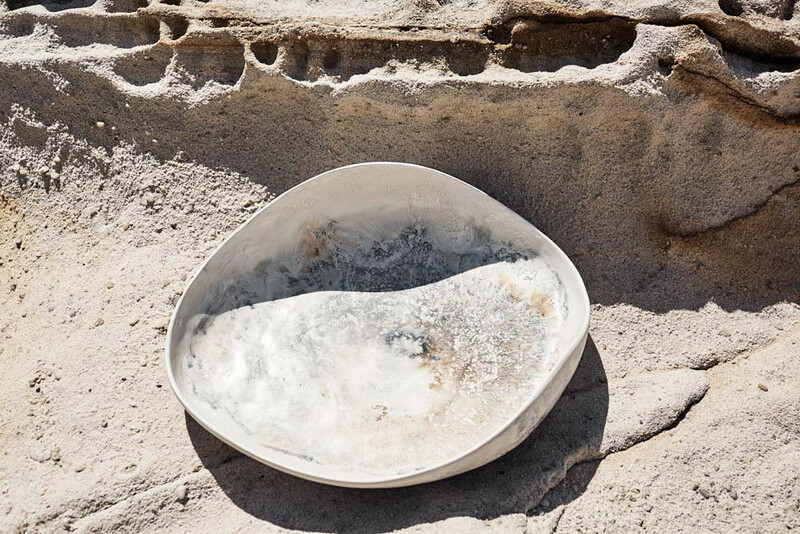 New castings and art-range samples were developed in a way which allows Sand to be mixed in resin, relying on rhythmic forms found in sandstone. Our approach considered the forms and palette of sand. Sand takes us back to our childhood, when we use to fill jars with beautiful layers of sand. This layering effect inspired the development of our new art-range palette. 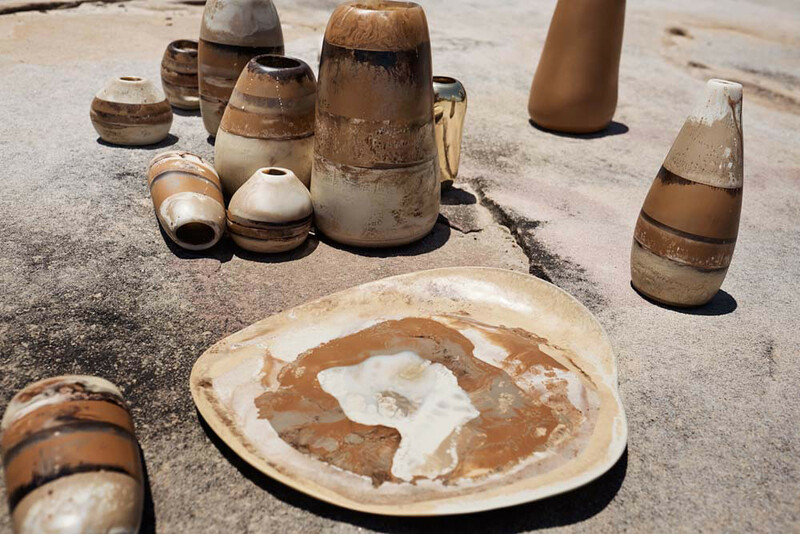 The collection features a series of stone products that resemble graphic sandstones and look as if they were created by nature. 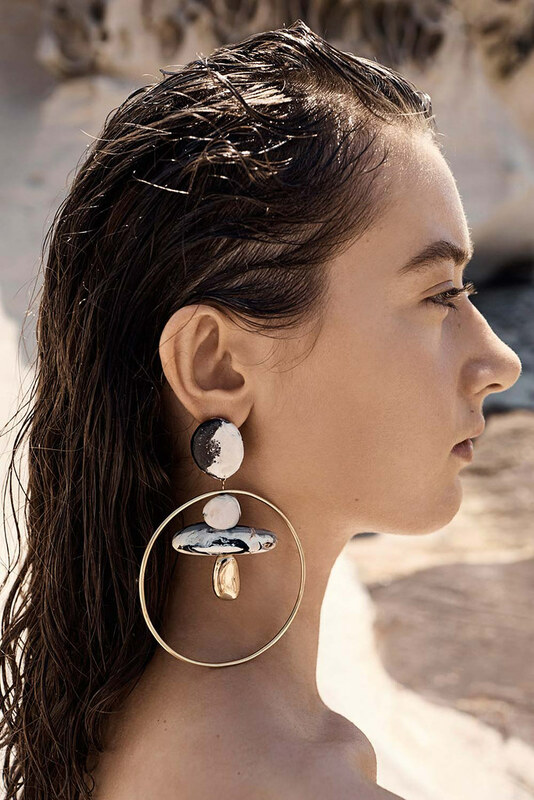 In the jewelery collection, the brass Ruffle Chokers and bracelets create a confident look with armor-like plates, and the new earrings are designed using rock-inspired shapes, but with a polished finish. 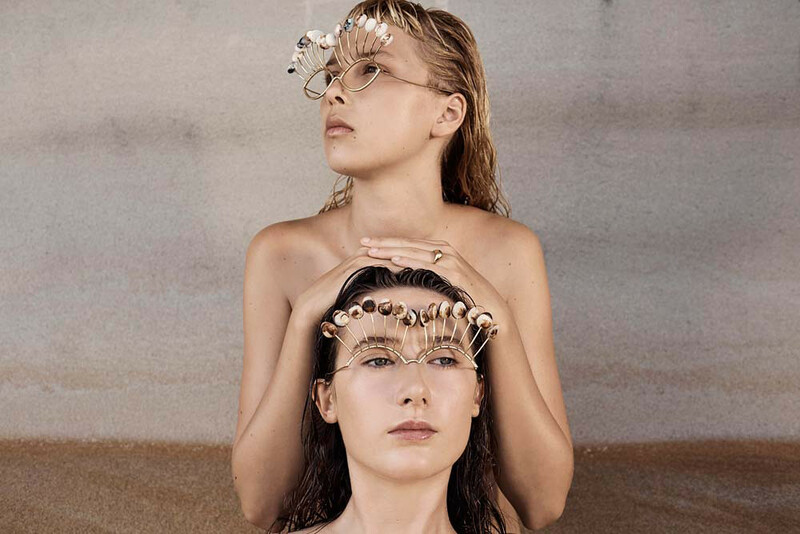 Olsen and Ormandy filmed a Sand campaign with Tim Georgeson, a photojournalist and director who photographs for National Geographic, and together they chose the immense beauty of the Marubra beach in Sydney. Stylist Marc Vassallo also worked on the campaign with the hair Michelle McQuillan and the make-up by Victoria Baron. 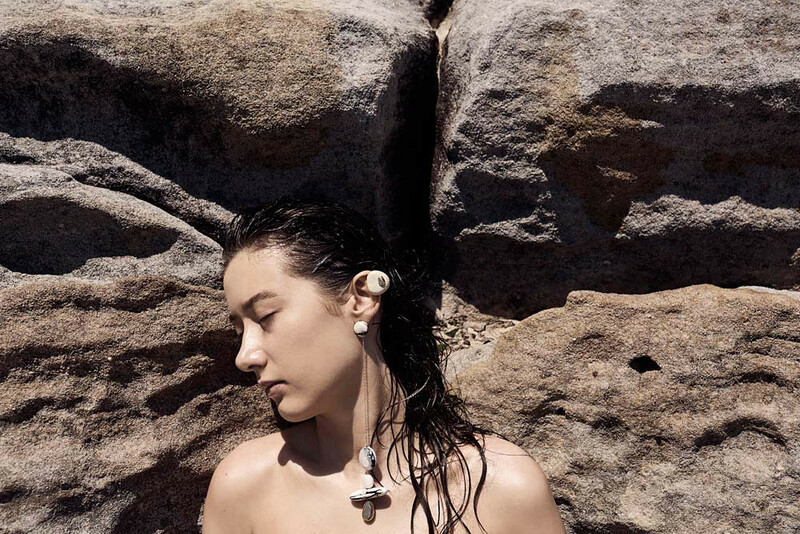 The pieces were modeled by the daughter of Georgeson — Nova Orchids and Camille Ormandy, daughter of Olsen and Ormandy. 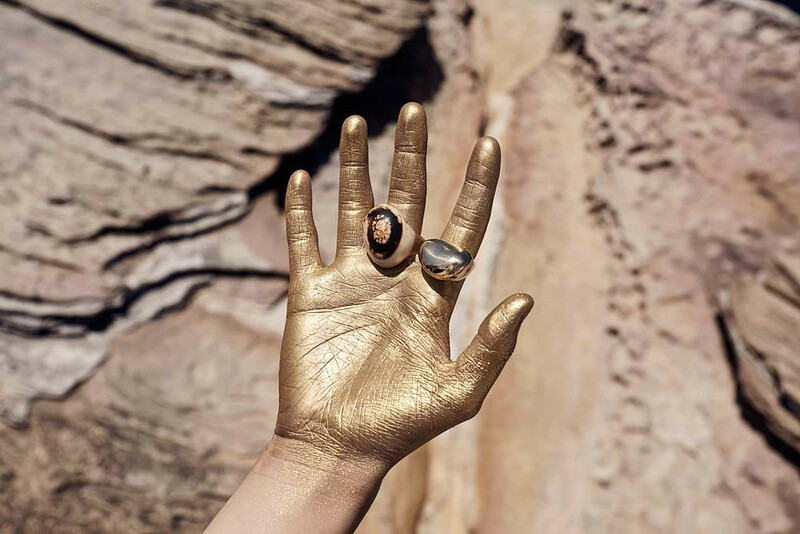 Georgeson’s photo report creates the feeling that the Sand collection is an organic continuation of the sand cliffs that surround the Australian coast. 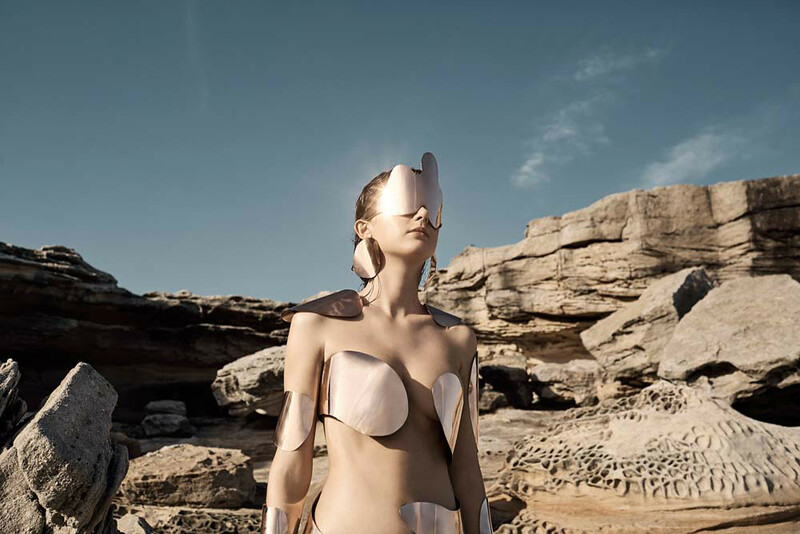 For the drama, Olsen developed special pieces of metal armor that fastened around the body, creating a visual examination of the balance between futuristic and fluid forms created by sand in nature. 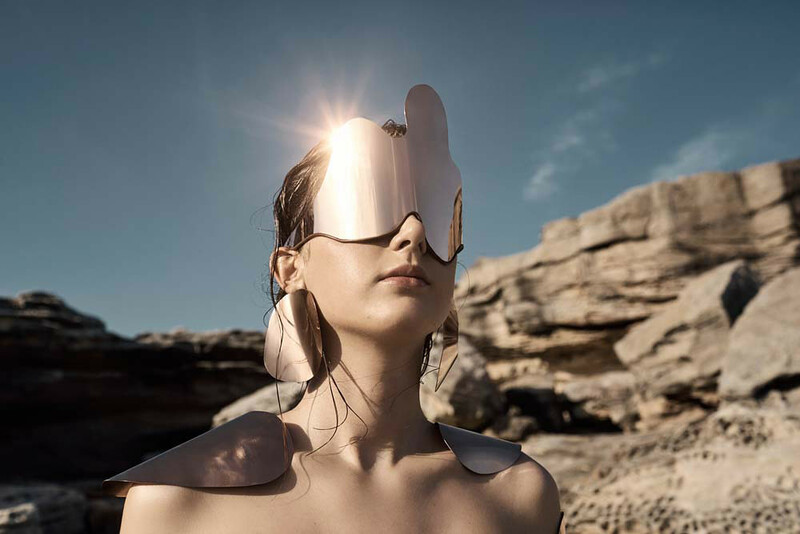 The resulting images are just as dramatic and exciting as the collection itself.